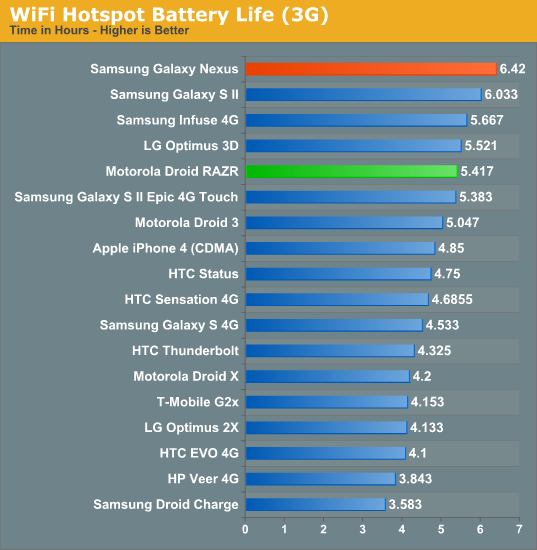 I still think that when we’re reviewing a 4G LTE device that battery life is the main concern, and with a sealed internal battery this is an even more relevant point than it would be otherwise. 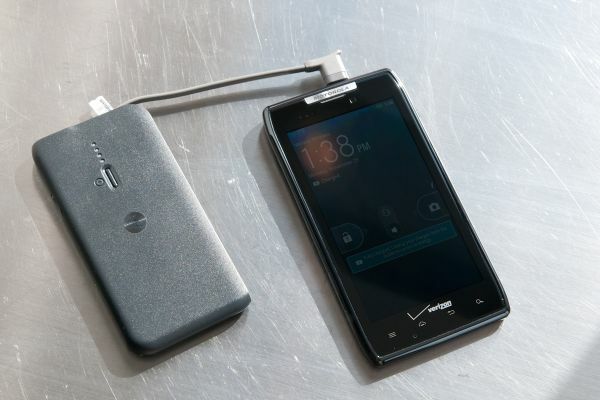 I started the Bionic review out with a look at battery life first, and think the same approach makes sense for the RAZR. As I mentioned before, the RAZR has a 6.7 Whr internal battery which makes use of Motorola’s new higher voltage Li-Ion chemistry, just like we saw in the Bionic. Motorola also sent us all the goodies to go along with the RAZR, including the Lapdock 100, car windshield mount, VGA adapter, and an extra external 6.9 Whr battery. More on those accessories in a moment, for now let's just talk about the battery. 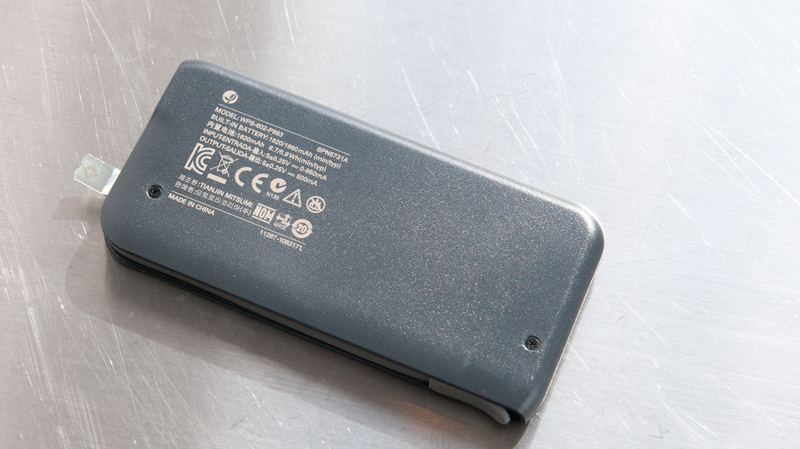 Since the battery for the RAZR is sealed inside, there’s no way to go the traditional extended battery route, and thus this external battery which connects using microUSB is the only viable option to extend your electron tank. The external battery charges using a microUSB port on its side and can charge up to two devices at the same time. One using the microUSB connector on a rubberized cable that folds into the opposite side, the other using the female USB type A connector at the top. I used the external charger to juice up the RAZR and another device at the same time to much success. Of course, using a big external battery to simultaneously charge a battery and power the RAZR incurs some overhead. 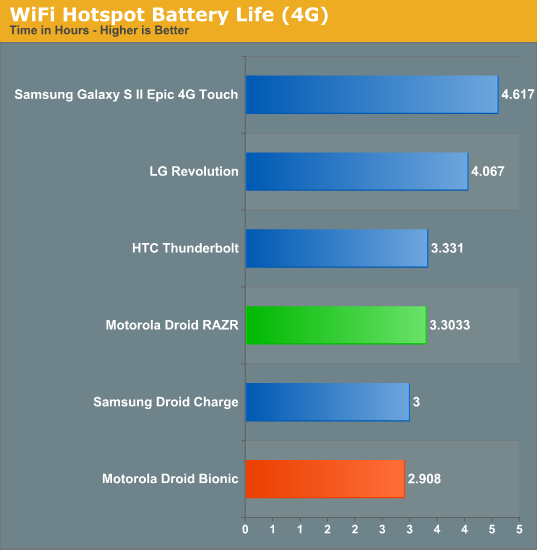 To measure how good the RAZR is at sipping juice, we turned to our standard suite of battery life tests. The first loads through a dozen or so pages over cellular data and WiFi with the display constantly on and set to a brightness of 200 nits using the stock browser. 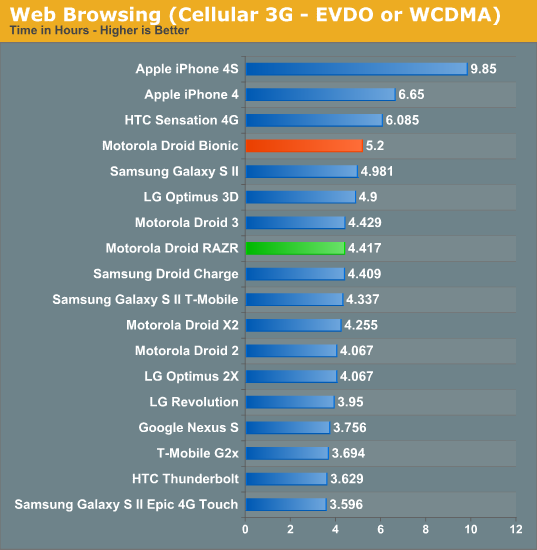 In the cellular browsing department, the RAZR unsurprisingly performs very close to the Bionic, but comes in just behind in spite of having a slightly larger battery. 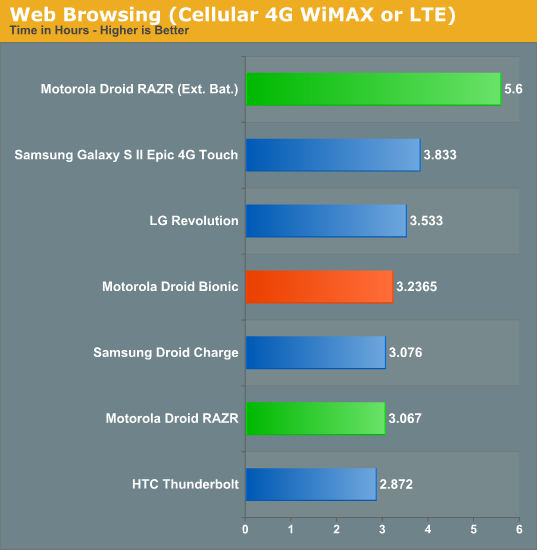 It’s pretty easy to point out the sources of increased battery drain on the RAZR versus Bionic, and that’s both inclusion of AMOLED (virtually all the webpages in our testing suite have white backgrounds), and a higher CPU clock, though admittedly most of the time the CPU is in an idle state. The other parts of the equation again remain the same - the RAZR has the same cellular basebands and a similar family PMIC (power management IC). Using the external battery gives you another 2.5 hours of charge in our LTE test, which isn’t a doubling, but still a respectable boost. As predicted, you end up losing some of that charge on the external battery to overhead, but it isn’t dramatic. I didn’t measure how much of a gain using the external battery on EVDO nets you, but you can safely bet the same 1.83 multiplier applies. 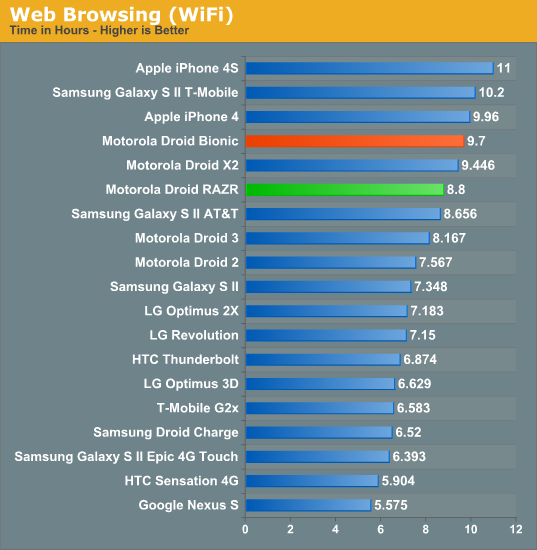 This trend where the RAZR lags the Bionic in our battery life testing carries on to the WiFi web browsing test as well - the two include the same TI WL1285 WLAN combo chip. Call testing time likewise puts the RAZR just behind the Bionic. As a reminder, calls on Verizon still happen over 1x on the MDM6600. I’m starting to put more stock in our WiFi hotspot battery life test, which has four of our normal page loading tabs open and a 128 kbps MP3 streaming radio instance from smoothbeats.com going. This keeps the baseband and WiFi stacks up and also relies on the CPU for routing network traffic through a NAT, and the display is off. Here the RAZR surprisingly ousts the Bionic (despite testing being done in the exact same location and signal characteristics) by a little over a half hour. 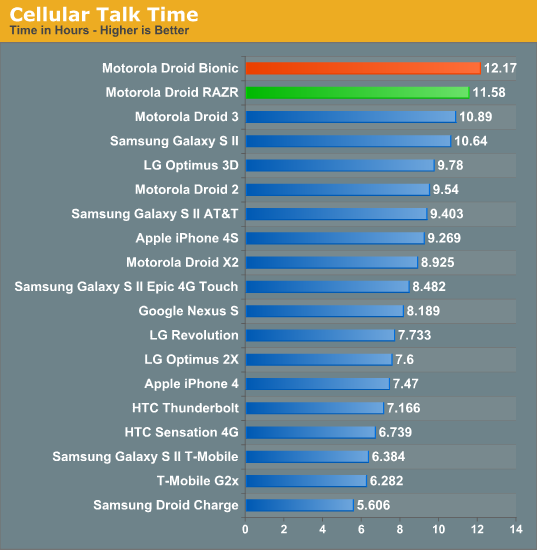 So in the battery department there isn’t much to talk about with respect to the RAZR except to note that it’s very comparable to the Bionic owing to - again - being based on essentially the same hardware platform. The difference we do see is largely a result of adding a Super AMOLED Advanced display and higher peak CPU clock. If you’re not near a charger or unwilling to go for the external battery, our guidance remains much the same as it did when we first started looking closely at 4G LTE handsets - wait for 28nm SoCs and basebands in 2012. That said, it’s absolutely possible to make it through a day with the internal battery, it just depends on what your daily use patterns are.